Our partnership with the Anacortes Parks and Rec Summer Learn-to-Sail programs yielded over 200 user-days for both youth and adults. Through the reinstatement of adult Learn-to-Sail programs, 12 local adults were introduced to the lifelong sport of sailing. Nine new boats have been introduced into program fleets to support increasing demand. Located in the Cap Sante Marina north basin- Our small boat storage facilities continue to operate at capacity offering easy and affordable moorage to over 40 boats. The AWA has entered into a direct partnership with Anacortes Parks and Rec to provide management and funding for the Seahawks Sailing Team. Anacortes will be hosting the fleet districts regatta on May 4th and 5th at Seafarers Memorial Park. Strategic partnerships have been created and strengthened with local and regional organizations such as the Port of Anacortes, the City of Anacortes, OARS, Anacortes Marine Trades Association, Northwest Marine Trades Association, The Anacortes Library Maritime Collection, Anacortes Rotary, Anacortes Yacht Club, Flounder Bay Yacht Club, and others. Building on the legacy of the Anacortes Small Boat Center, Director Kevin Pratt has set a course for the AWA to create a vibrant, boating-centered waterfront. With a line-up of planned educational and fun waterfront programs to provide the community with access to the water and reinforcing the Anacortes maritime heritage, the AWA’s future is AFLOAT and sailing toward new horizons. Community members engaging with programs through our waterfront kiosk. The addition of the waterfront kiosk continues to be a top priority for the AWA as programs exceed current infrastructure and community demand grows. The kiosk will serve as the public service point for current and future waterfront programs. 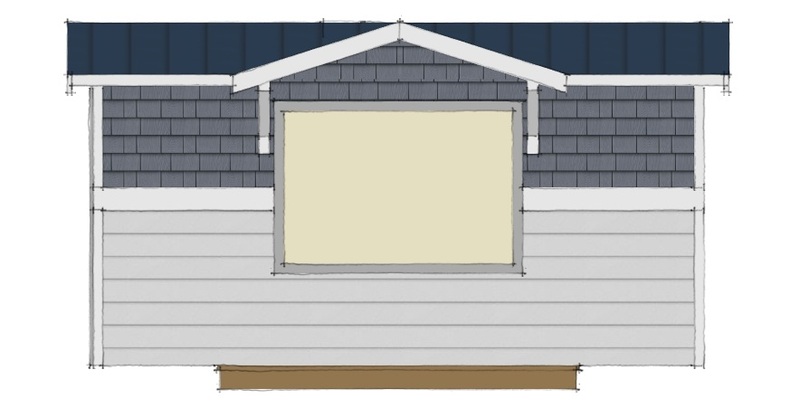 The kiosk will be located at Seafarers Memorial Park- the premier location for waterfront recreation in Anacortes. This exciting addition will bolster our waterfront programs for this and future generations. Summer Learn-to-Sail program offerings will double in 2019 providing education and access for over 100 sailors. For the first time in Anacortes history, Learn-to-Sail graduates will have access to rental boats via a new program we call “Open Sail”. Open Sail times will be hosted twice a week throughout the summer. Watch for more information. In addition to Open Sail, our new waterfront kiosk may soon host a public Stand Up Paddle board program and frequent Community Paddle Nights. The AWA is making efforts to reestablish Lido Fleet 78, a community club based around one design dinghy racing. This club offers fun and social opportunities for youth and adult sailors alike, including competitive opportunities further afield. And a big thank you to all AWA members. Your support is invaluable to the organization.